What have Richard Branson (Virgin), Satya Nadella (Microsoft) and John Legere (T-Mobile) got in common? No, this isn’t the start of a terrible joke. Not only are they innovative business leaders but they’re also highly prolific and effective on social media. And the evidence is mounting that the more active a CEO is on social media, the more likely this is to translate into effective business leadership, a happier workforce and a more competitive business. But how does a high profile social media presence translate into effective business leadership and vice versa? What exactly is the benefit of your C-suite having an active social media presence? Should your CEO be active on social media? We might as well cut straight to the chase. If your CEO is active on Twitter, LinkedIn or any other platform the evidence suggests you’ll outperform competitors whose business leaders aren’t. 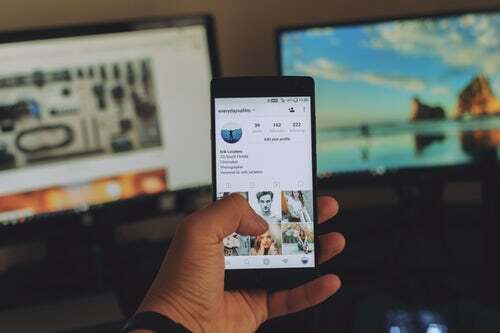 A study published in 2018 by global communications firm Ruder Finn revealed that the CEOs of “high performing” companies were more likely to be active on social media than those of “low performing” organisations. “High-performing” companies were defined as those that had above-average stock price growth against the S&P 500 Index during the research timeframe. By analysing the social media presence of 100 CEOs, across 13 industries (mainly in technology, pharmaceuticals and consumer goods), Ruder Finn discovered that 50% of high-performing CEOs had two or more accounts (Facebook, LinkedIn or Twitter). Just 28% of low-performing CEOs had more than two accounts while 72% of low-performing CEOs had one or no account. So why is this? According to social media management platform Hootsuite, most brands’ value is a result of its reputation, which is increasingly dependent on social media. Hootsuite found that companies whose CEOs regularly use social media are perceived 23 per cent more positively than companies whose CEOs don’t. This is backed up by similar research conducted by social media agency Brandfog. According to the survey, 75% of consumers believe that C-Suite engagement on social media makes a brand more honest and trustworthy. Incredibly 93% of survey respondents view socially engaged CEOs as a means to build better connections with stakeholders. And if you have a charismatic leader actively engaged on social media, it can provide a great coverage for the organisation. A CEO who ticks both these boxes is T-Mobile’s charismatic John Legere. Claiming to spend up to seven hours a day on social media, Legere tweets on everything from films he has seen, gadgets and toys he is interested in as well a business updates. Not only leaving other CEOs in the telecoms industry for dead in the Twitter stakes, his personal account is ahead of the corporate accounts many of T-Mobile’s largest competitors as well. Legere has 5.7 million followers on Twitter. Verizon, one of T-Mobile’s largest rivals, on the other hand has just 1.74 million followers on its verified company page. But it’s not just customers who are drawn to business leaders that are active on social media. Staff are also inspired and motivated, according to Ruder Finn. The communications expert found that companies led by Social CEOs (CEOs using one or more social channels) are more than twice as likely to appear on The Fortune or GlassDoor 100 Best Places to Work lists. And nothing gives transparency to an organisations values more than a CEO who is espousing his world view on social media. What makes a business leader effective on social media? So is it purely a case of setting up a social media account for your CEO and scheduling a bunch of posts promoting the business, its services and products? Well, not quite. According to Ruder Finn successful CEOs are not only more active on social media, but they engage more on personal topics. Of the CEOs the organisation studied, 20.72% of posts by high performing CEOs were about personal anecdotes versus only 14.12% of posts by low performing CEOs were on personal topics. Despite running a huge business empire Richard Branson can be found tweeting practically every day, often responding to tweets sent by his 12.6m followers. And Mr Branson doesn’t limit his posts to business, often discussing causes he is concerned about or what he has been up to that day. Which again, is another prime characteristic of engaging social media content. High-performing CEOs post more about personal topics than their lower-performing counterparts. Ruder Finn also found that they do not post as much about politics, progressive topics and current events – 9.5% of posts by low-performing CEOs tended to be about current events, whereas 6.7% of posts by high-performing CEOs focussed on these subjects. Why is this? Well by posting more about their personal life customers are able to relate more to what has traditionally been seen as the dehumanised, faceless CEO. Microsoft CEO Satya Nadella, is a prime example of how a leader can build engagement with employees and customers. But it’s not because he fills his social media feeds with Microsoft company updates. Satya Nadella often blogs about what he has learnt through caring for his son, who suffers from severe cerebral palsy. Again, portraying a very human side to what could be perceived as a large, faceless corporation. Incidentally, the tech giant has seen its market value leap by $250 billion since he took the reins in 2014. Some of the strongest, most lasting impressions about a company’s brand reputation are created across social channels, as the words of executive leaders become the truest public face of the company. Social media enables C-Suite leaders to become more prominent, accessible and identifiable within their industry. Social media is increasingly becoming the way that consumers engage with brands and the way that trust in an organisation is built. As the above examples show it’s not necessarily a PR exercise in your CEO having a social media presence, there are tangible business benefits that are demonstrable in business growth. Next StoryShould we use Instagram?